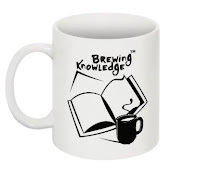 Brewing Knowledge: Enjoyed every day of the 33 years! Yes this is the truth and you have heard right! After 30 plus years of volunteering and finally three years as National Director for The Duke of Edinburgh's International Award have decided to move on... thank you for the numerous number of phone calls...had to finally put off my phone as it would not stop ringing!!! These were my golden days. Am most thankful to the IAA, the APF, all the Volunteers, the Friends and partners who have stood by me. Am no more accessible through the email address of the IAYP and you can connect with me on www.sdutt.com please. Will support the alumni network as a volunteer always, so am sure we will be in touch.